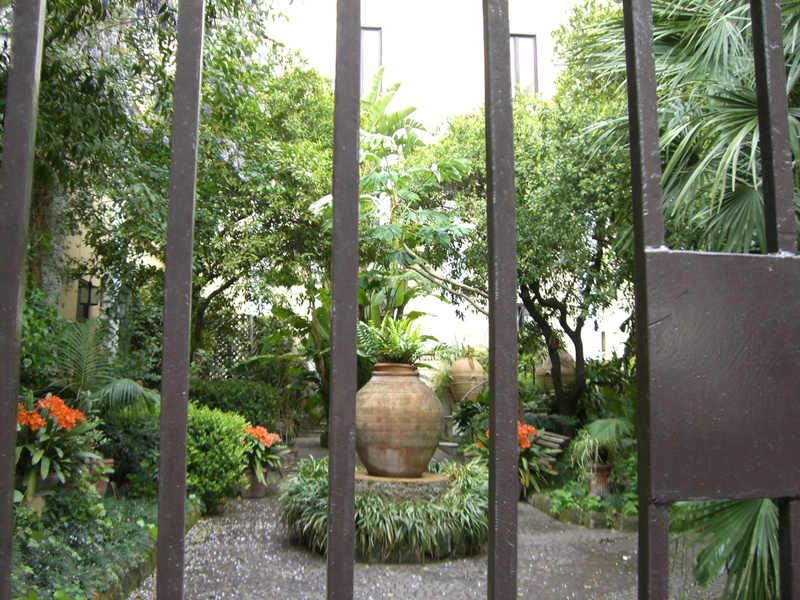 Along Corso Italia, Sorrento's main shopping street, you can find secret gardens and villas tucked away behind iron gates and stone walls. Gravel paths lead up to the house, with cameliae and palms forming a tunnel. As always, terracotta elements dot the garden and in this picture, even segment the pathway.